Palestinian activist groups are calling for a boycott of the 2019 Eurovision song contest, set to be held in Israel. In an open letter, the groups said they are seeking a boycott because of Israel’s continuing actions against Palestinians. The letter was signed by an organization representing Palestinian reporters and by several Palestinian cultural organizations. Israeli singer Netta Barzilai won the hugely popular Eurovision contest last month in Lisbon, Portugal. The competition traditionally moves to the country of the winner from year to year. The letter also calls on the European Broadcasting Union, or EBU – which is in charge of Eurovision – not to support the contest in Israel. So far, however, the EBU has not shown any signs that it is considering a boycott of the event. The organization said it is accepting proposals from four Israeli cities – including Jerusalem and Tel Aviv – before deciding where to hold next year’s contest. Boycott movements concerning next year’s Eurovision have also been launched in at least three countries, including Ireland, Iceland and Sweden. If Jerusalem is chosen, it is likely to draw strong criticism. The city is not internationally recognized as Israel’s capital. Israel captured east Jerusalem in 1967 after the Six Day War against the armies of Egypt, Syria and Jordan. Today, Israel considers all of Jerusalem its capital. The United States announced in December that it would soon recognize Jerusalem as Israel’s capital. Many political and religious leaders around the world condemned the decision. The day after the 2018 Eurovision contest ended, the United States officially moved its embassy from Tel Aviv to Jerusalem. So far, only two other countries -- Guatemala and Paraguay -- have followed the U.S. action and moved their embassies to Jerusalem. There was continued fighting along the Gaza border as the Eurovision contest took place. More than 120 Palestinians have been killed by Israeli forces since weekly protests began in the Gaza Strip in March. At least 60 people were killed two days after Israel celebrated its Eurovision win. 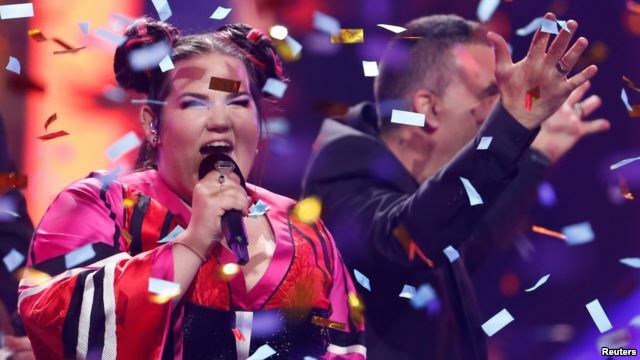 Activists had already targeted Netta Barzilai and her winning song “Toy” ahead of this year’s contest. They launched a campaign calling on voters to award her no points. Israel has held other Eurovision contests in Jerusalem following previous victories - most recently in 1999. The events took place without incident. But William Lee Adams, a London-based writer who is considered an expert on the Eurovision contest, said this time is different. He told the Associated Press he thinks there is greater concern about politics affecting the 2019 competition than ever before. Bryan Lynn wrote this story for VOA Learning English, based on reports from the Associated Press and other sources. Ashley Thompson was the editor.